Many things learned in a classic software engineering education about how to slice functionality (such as "Don't Repeat Yourself") does not work for distributed systems, like microservices. There is high value in standardizing things that become a commodity -- and where fragmentation, lack of fairness or interoperability causes loss of end user value. At the microXchg 2017 conference, held in Berlin, Germany, Uwe Friedrichsen discussed the core concepts of “Resilient Functional Service Design” and how to create observable systems. 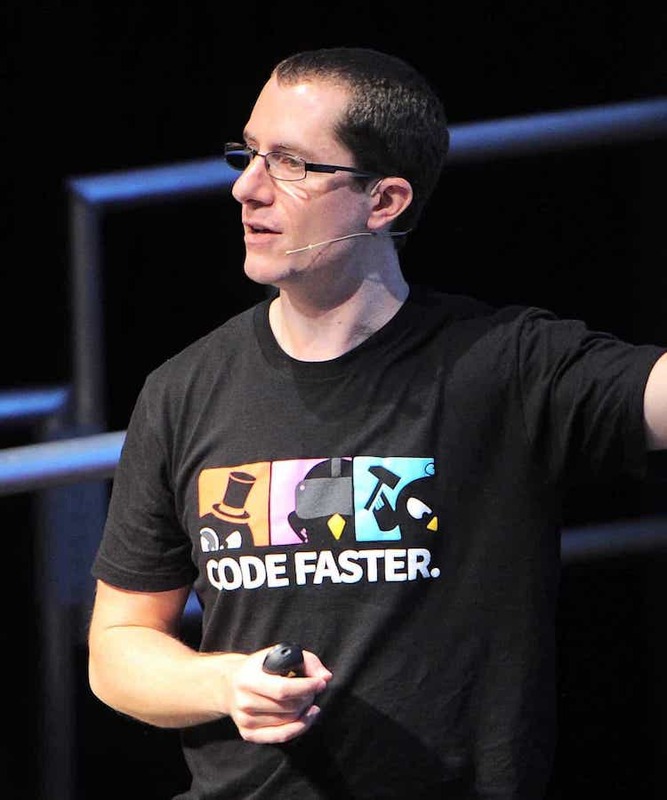 Friedrichsen believes that in order to develop effective systems, microservice developers must: learn about fault tolerant design patterns and caching, but not utilise them to mitigate fundamentally bad (overly-coupled) system design; understand Domain-Driven Design (DDD) and modularity; and aim to design for replaceability of components rather than reuse. Developers should familiarise themselves with fault tolerant design patterns, such as circuit breakers, bulkheads, timeouts and retries, which has been popularised by Michael Nygard’s “Release It!” book. 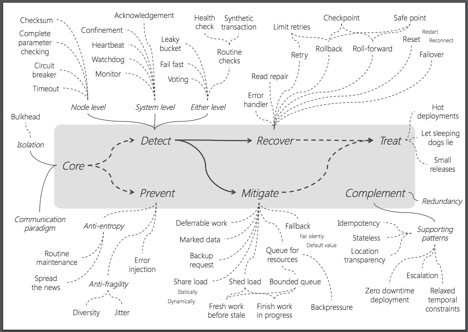 Caching, although useful, should be deployed with care, and not used simply to overcome bad system design, such as a long activation path involving many dependent services. 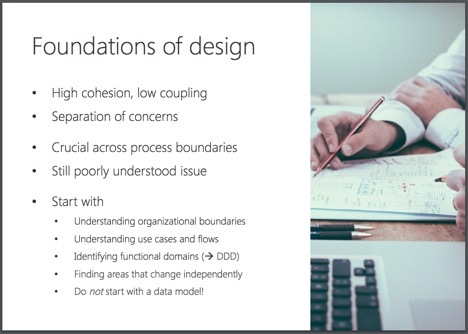 Friedrichsen presented a series of ‘foundations of design’ for microservices (pictured below), which included a series of design principles focusing on high cohesion, low coupling, and separation of concerns. This principles are especially crucial across system boundaries, and even though the theory has been well documented in the 70s by David Parnas (PDF link), it is still often misunderstood. Domain-Driven Design (DDD) is a useful tool, but many developers overly focus on the static context model of domain, something Friedrichsen refers to as ‘Entity DDD’. The dynamic behaviour of the system is often more illustrative of the business activities, domain events, and flow of data. Quoting Fred Brooks, Friedrichsen discussed the promise of software reuse that has been chased by developers for many years. Brook’s suggested that work effort required to create a reusable component (over one that is fit for purpose for a single case) is typically multiplied by three, meaning that any return on investment for reusability is only seen when a component has been used without modification at least four times. The communication paradigm used within a microservices system also greatly influences the functional service design, and Friedrichsen suggested that care should be taken with upfront architectural choices that may limit future modification and extensibility. The concluding message and core takeaway from the talk was that developers and architects need to relearn functional service design when implementing distributed systems like those being created by microservice architectures, as the properties of these systems expose and multiply the effects of design issues we have known about for many years. Based on my observations, we face a new generation of developers coming from university (or wherever else) about every five years. From a different perspective, this means that we lose our collective memory also every five years. These people do not (yet) know the talk or article that has been an eye-opener for you several years ago. They have to relearn all that on their own from scratch, every single person who starts in IT. The full video for Uwe Friedrichsen’s talk, “Resilient Functional Service Design”, can be found on InfoQ. Uwe Friedrichsen is CTO of codecentric AG, where he focuses on resilience, scalability, and the IT of (the day after) tomorrow. Uwe has traveled the IT world for many years and is always in search of innovative ideas and concepts. Often, you can find him sharing ideas at conferences or in his many articles, blog posts, and tweets. and never ever mention the word "consistency" once (sorry I don't have time to watch the video). The "high cohesion, low coupling, and separation of concerns" mem has been around for 15 years and never materialized because data is relational, there is nothing you can do about and that simple fact will shatter any cohesive scheme in a nanosecond. Low coupling, as we have seen with REST is just a pipe dream and it's not the modern Web Framework that will reduce coupling as Front-End developers continue to demand API footprints that match every single view of an app. 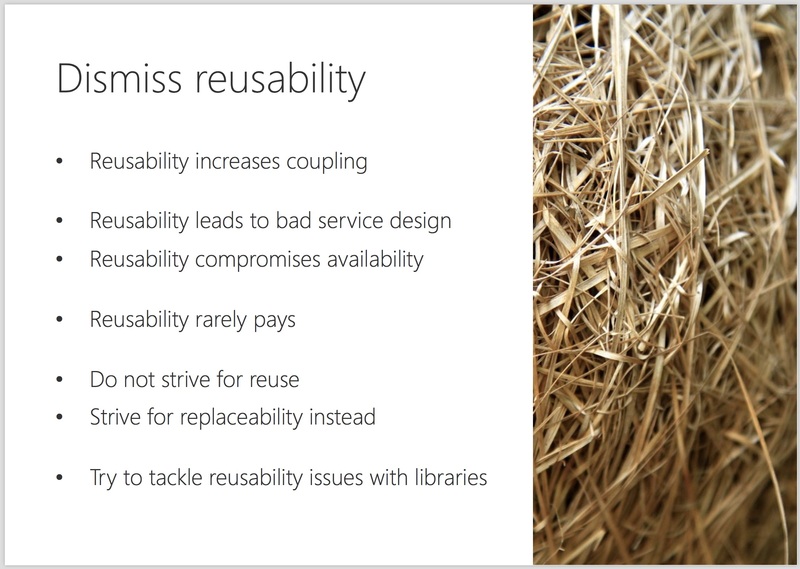 The only thing I would strongly agree here is: "aim to design for replaceability of components rather than reuse", this is what we used to call "forward compatibility" in the old days, in other words, in distributed systems, reuse works the other way around, it is not a new consumer that reuses existing services, it is really about giving the ability to existing consumers to keep consuming services/microservices as they evolve to meet new needs (i.e. replaceability).